In 1995, I began my mental health counseling career working as an oncology support and education specialist with patients and caregivers at a rural cancer treatment center in a hospital setting. It was the first of several positions at cancer treatment centers, university research departments and private practices. I led cancer support groups and taught classes on coping with the challenges of cancer treatment to cancer patients and caregivers. When people learned I worked with cancer patients, they assumed all those patients were in pain, felt ill and were dying. I changed their assumptions using what I had learned from my cancer patients, including those with mesothelioma: There is hope along the cancer journey. I explained it’s possible to live a long time with cancer and some cancers are curable. In the more than 20 years I have worked in oncology, the U.S. Food and Drug Administration has approved many new cancer treatment options that offer patients more effective therapies with fewer side effects. Today, patients have access to less invasive surgical options, better technology to track treatment progress and more effective medications to lessen chemotherapy side effects. In 2014, I began working with The Mesothelioma Center as the facilitator of the advocacy organization’s mesothelioma support group. Since the support group’s inception, it’s been so encouraging to hear how experimental therapies have advanced from clinical trials toward FDA approval for treating mesothelioma. Targeted therapies are the wave of the future. Researchers are testing some of these novel treatments for other cancers, such as lung cancer, on patients with mesothelioma. The results are encouraging. Each month we hear from support group members participating in new and exciting immunotherapy and gene therapy clinical trials. There is also increased research into the role diet, nutrition and other lifestyle behaviors play in reducing the impact of treatment side effects such as fatigue and peripheral neuropathy. While mesothelioma is an incurable disease, and some people do not survive beyond its two-year life expectancy, more patients are living longer and with an improved quality of life. It is not uncommon to hear about patients who stopped treatment for several years and show no evidence of active disease. It is encouraging to hear these mesothelioma patients feel good enough to travel or resume their prediagnosis lifestyle activities with their loved ones. When patients and caregivers focus on the incurability of mesothelioma, it’s easy to become discouraged and lose hope. But the length of time a patient spends in treatment or followed by their oncologist can be an opportunity. Those months or years may give you time to take advantage of new treatment options that were unavailable when you were diagnosed. In our support group, we have group members who were diagnosed five years ago and have been in and out of treatment since that time. But now there are treatment options and clinical trials that didn’t exist years ago. For these people, time equals hope. Switching your expectations from finding a cure for mesothelioma to controlling the disease also opens the door to hope. Many patients focus solely on a cure as the only positive outcome, but mesothelioma that is controlled or stabilized will not end your life. Most oncologists these days tell their patients cancer is a chronic illness, and the goal is to control the spread and impact of the disease. It’s common for cancer patients to spend periods of time in and out of treatment. That allows patients some breathing space so they can return to work or just have fun. 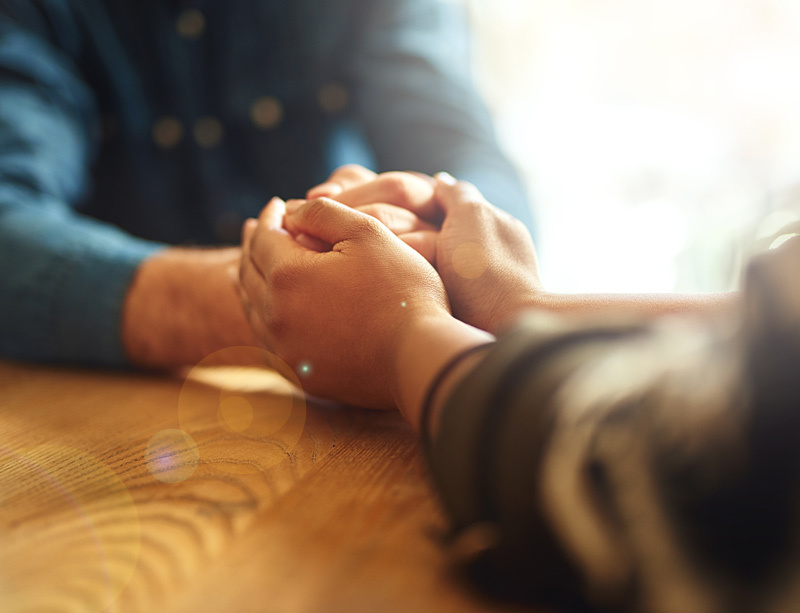 Many members of our support group say they find hope when connecting with other mesothelioma patients and caregivers. Sharing their fears and hearing others describe their experiences grows a sense of realistic optimism among group members. It also lends validity to every person’s mesothelioma experience. Each month, group members share their ups and downs, whether it’s hearing news about positive scan results or the struggles of treatment side effects and recovery from a challenging surgery. Regardless of the good or bad, group members say they find comfort and support in the shared experience of mesothelioma. I understand that feeling hopeful is not always easy when you or a loved one has mesothelioma. Despite the difficulties, my cancer patients continue to show me new ways to find hope in the face of adversity.